Founded in 1878, High Falls Brewery, based in Rochester, New York, is one of the largest and oldest continually operating breweries in the United States. 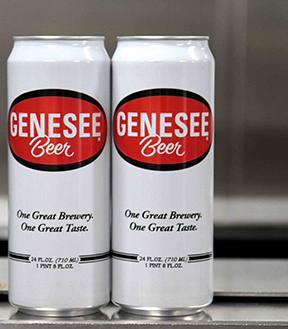 The Brewery makes the Genesee line of beers, including the iconic Genesee, Genny Light, and the original Genesee Cream Ale. The Company also contract brews for Blue Point Brewing Company, Seven Kings Brewery, Narragansett Brewing Company and the Boston Beer Company, maker of Samuel Adams beers. It is also a regional brewer for Mike’s Hard Lemonade and other malt beverage products, producing almost all of the Mike’s sold to the East Coast market. The company, with over 500 employees, was recently renamed the Genesee Brewing Company. Engaged by a leading private equity group, Ameridan’s customer diligence engagement focused on assessing customer impressions of the Company’s products, brands, and overall service levels. Manufacturer of flooring and ceiling systems. Manufacturer of high performance steel wire crane ropes.